These books are the history (so far) of the Vorkosigan universe, from hundreds of years ago through the marriage of Miles Vorkosigan. The books are listed in chronological order, but they can be read in any order, and none of them actually requires prior acquaintance with earlier books in the series. Years in parentheses following each title give the original publication date. Dreamweaver's Dilemma (1995): A collection of short stories and writings by Lois McMaster Bujold, including some discussions of the Vorkosigan universe, discussion of galactic history, and a Sherlock Holmes pastiche with a precursor of Cordelia Naismith. The title story is set not long after the invention of the wormhole drive. The book also includes pronunciation and genealogical notes by Suford Lewis. Falling Free (1988): The origin of the quaddies, 200 years before Miles' birth. Shards of Honor (1986): Aral Vorkosigan and Cordelia Naismith meet and fall in love amid the chaos of the Escobaran War. Treachery and corruption in high places, honor and honesty in low ones. Barrayar (1991): Aral Vorkosigan becomes Regent on Barrayar, and must put down rebellion; Cordelia discovers the pitfalls of Barrayaran society, and Miles is born. The Warrior's Apprentice (1986): Miles founds the Dendarii Mercenaries, and loses Sergeant Bothari. His first war, his first command, and his first major clash with Barrayaran law. The Vor Game (1990): Miles gets transferred sideways to ImpSec, and must take command of the Dendarii in order to deal with a Cetagandan invasion and a beautiful but treacherous mercenary commander. Cetaganda (1995): Miles discovers Cetagandan high political intrigue, and falls in love with a haut-lady; Ivan Vorpatril discovers Cetagandan women, and upholds Barrayaran honor. Ethan of Athos (1986): Commander Quinn of the Dendarii and Doctor Ethan Urquhart of woman-hating Athos are forced to cooperate in a case involving a mysterious group of Cetagandans, a missing consignment of ovaries, and a box of newts. Borders of Infinity (1989): Four short stories, involving Miles' various exploits: one as a youth judging a case in the Vorkosigan District, and three involving his career with the Dendarii Mercenaries. Brothers in Arms (1989): While on Earth, Miles must juggle his identities, the Dendarii finances, and a Komarran plot. "Admiral Naismith" acquires some new faked history, which unfortunately turns out to be true . . .
Mirror Dance (1994): Mark Pierre Vorkosigan resurfaces, and steals a shipful of Dendarii to raid Jackson's Whole. Miles finds that having a brother doesn't always turn out as one would expect, and Mark discovers what it means to have a family. Memory (1996): Miles finds out the hard way that it's a bad idea to leave things out of his reports. Unfortunately, Captain Illyan forgetting about it is more dangerous than him remembering . . .
Komarr (1998): While investigating a potentially criminal catastrophe, Miles uncovers a decidedly political one; in the process, he meets the gardener of his dreams. A Civil Campaign (2000): Miles attempts courtship, Mark invests in genetic engineering, and Ekaterin cultivates her garden. Politics and family relationships manage to complicate things for all of them. "Winterfair Gifts" in Irresistible Forces (2004): Romance and intrigue against the backdrop of Miles' and Ekaterin's wedding. Diplomatic Immunity (2002): Miles and Ekaterin find an Imperial mission interfering with their honeymoon, and old friends and enemies return from Miles' past to complicate the issue. Captain Vorpatril's Alliance (2012). Ivan finds his way into trouble without his cousin Miles' help. Cryoburn (2010). Miles investigates a cryonics corporation. Cordelia's Honor contains Shards of Honor and Barrayar. Young Miles contains The Warrior's Apprentice, the short story "The Mountains of Mourning," and The Vor Game. Miles, Mystery and Mayhem contains Cetaganda, Ethan of Athos, and the short story "Labyrinth." Miles Errant contains the short story "The Borders of Infinity," Brothers in Arms, and Mirror Dance. Miles, Mutants and Microbes contains Falling Free, Diplomatic Immunity, and the short story "Labyrinth." Miles in Love contains Komarr, A Civil Campaign, and the short story "Winterfair Gifts." 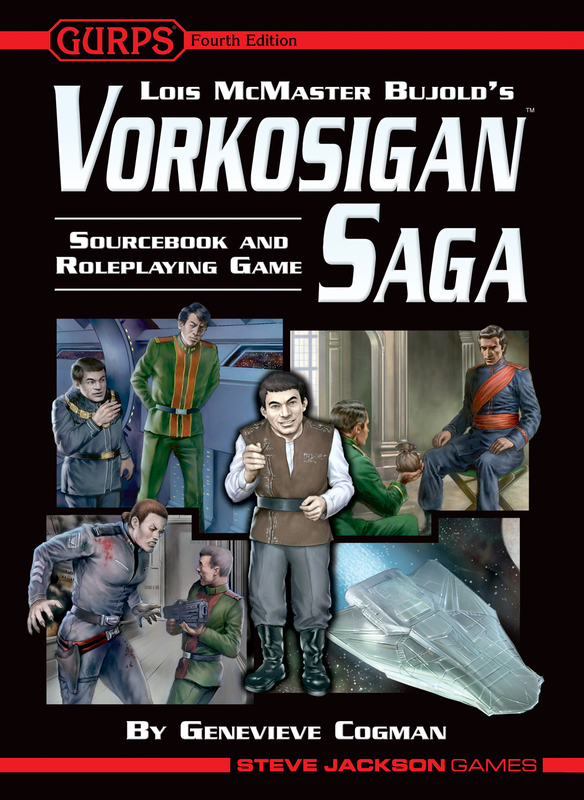 Vorkosigan's Game (an SF Book Club edition) contains The Vor Game and Borders of Infinity. Test of Honor (an SF Book Club edition) contains Shards of Honor and The Warrior's Apprentice. 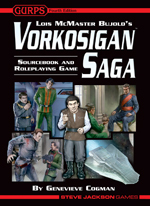 The Vorkosigan Companion, edited by Lillian Stewart Carl and John Helfers. It features an interview with Lois McMaster Bujold, essays on the creation of the Vorkosigan universe, critical discussion, and a concordance of all characters mentioned in the canon. Readers who know Lois McMaster Bujold for the Vorkosigan books may also enjoy her works of fantasy. The Spirit Ring (1993): The brilliant Prospero Beneforte creates enchanted rings and sculptures, with his talented daughter Fiametta as his student, until Renaissance intrigue and treachery disrupt their city-state. The Curse of Chalion (2001): In a fantasy world with a feudal society and active gods, a scholarly warrior struggles to lift the curse on his rulers' family. Paladin of Souls (2003): A noble lady on pilgrimage finds that she has been chosen as an instrument of her people's least favored god. The Hallowed Hunt (2005): Set hundreds of years before The Curse of Chalion, this book revolves around two young people who find they both carry animal spirits. These books are set in a frontier-like world long after a magical catastrophe has wiped out its high culture. Relicts of the ancient fray, the uncanny "malices," along with the "mud-men" they create, prey on humans. The heroes must deal with both magical foes and their peoples' mutual intolerance. Beguilement (2006): Introduces Fawn, born of a farming folk; Dag, a wandering slayer of malices; and the clash between their cultures. Legacy (2007): Fawn and Dag must deal with an especially dangerous malice and its servants, but find it's not as treacherous as Dag's own family. Passage (2008): Fawn, Dag, and an assortment of companions travel by flatboat down a river reminiscent of the early Ohio, and start to put the pieces of their broken world together. Horizon (2009): Intending to take up their new life's work, Fawn, Dag, and their companions journey back to the north through hazards human and uncanny.